Health plans with 100 or more plan participants at the beginning of a plan year are generally required to furnish a Summary Annual Report (SAR) to each health plan participant within 9 months after the end of a plan year. As a result, the deadline for most calendar year plans to satisfy the SAR requirement for plan year 2017 is September 30, 2018. What Must be in a SAR? Is a Model Notice Available? While the U.S. Department of Labor has not released a model SAR, federal regulations provide model language. To review this model language, click here and see the section titled "Form for Summary Annual Report Relating to Welfare Plans." Check out our Benefits Notices Calendar section for additional information on federal notice requirements. 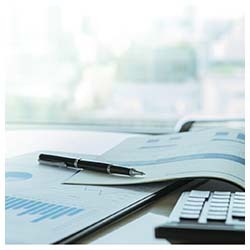 The Affordable Care Act's medical loss ratio (MLR) rules require group health insurance issuers to provide rebates if their MLR—the percentage of health insurance premiums spent on health care and activities to improve health care quality—falls short of the applicable standard during a reporting year. Each year's rebates must be issued to plan sponsors by September 30 of the following year. As a result, plan sponsors should be looking for these rebates to arrive in the coming weeks. 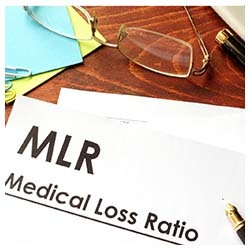 Visit our section on Medical Loss Ratio (MLR) Rebates & Employer Responsibilities to learn more. An employee's first day on the job can be very stressful for both the employee and employer. While trying to set up the employee with his or her parking pass, email account, and other necessities, employers should also remember that completing the following forms is just as important. 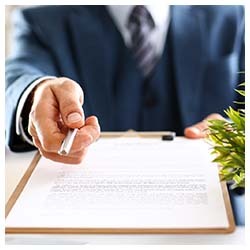 Form I-9: Under federal law, employers are required to verify the identity and employment authorization of each person they hire by completing and retaining Form I-9. Newly hired employees must complete and sign Section 1 of Form I-9 no later than the first day of employment. Click here to download Form I-9. Federal Form W-4: An employee must complete federal Form W-4 in order for the employer to withhold the correct federal income tax from the employee's pay. Click here to download federal Form W-4. State Form W-4: In states with a state income tax, an employee must complete a state Form W-4 or its equivalent in order for the employer to withhold the correct state income tax from the employee's pay. To obtain a state Form W-4, contact your state's taxation department. Basic Employment Information Sheet: Employers should keep certain basic information about each of their employees on file, including their addresses, phone numbers, and emergency contacts. Click here to download a Basic Employment Information Sheet. Direct Deposit Authorization Form: It is now easier than ever for an employer to directly deposit an employee's paycheck into his or her bank account. Such deposits, however, must be specifically authorized by the employee. Click here to download a Direct Deposit Authorization Form. Our Recruitment & Hiring section features more great hiring tips. 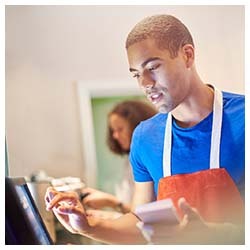 Employers that hired seasonal workers this summer are reminded that there is a seasonal worker exception when measuring workforce size to determine whether they are an applicable large employer (ALE) subject to the Affordable Care Act's employer shared responsibility ("pay or play") provisions. The pay or play provisions generally require ALEs—generally those with at least 50 full-time employees, including full-time equivalent employees (FTEs)—to offer affordable health insurance that provides a minimum level of coverage to full-time employees and their dependents in order to avoid paying a tax. However, if an employer's workforce exceeds 50 full-time employees (including FTEs) for 120 days or less (or 4 calendar months) during the preceding calendar year, and the employees in excess of 50 who were employed during that period were seasonal workers, the employer is not considered an ALE for the current calendar year. A seasonal worker for this purpose is an employee who performs labor or services on a seasonal basis. For example, retail workers employed exclusively during holiday seasons are seasonal workers. Check out our Pay or Play section for additional details. With the daily demands of keeping a workplace productive and profitable, many managers may overlook one simple perk that has been proven to boost employee retention: professional training. Learn how to use training as a tool to retain your top employees by watching the video below. For more training tips, check out our HR Training section.